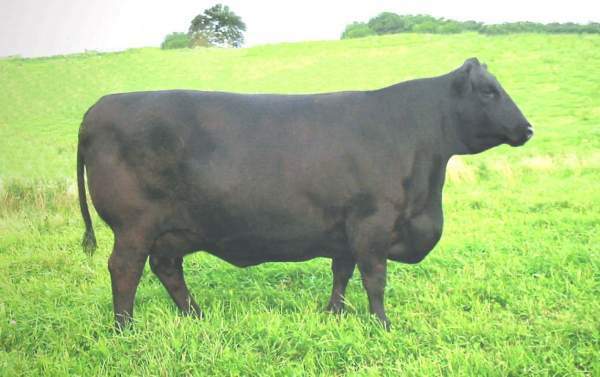 takes you to American Angus Association page, then click "search"
His Dam's Igenity DNA Profile Scores show her in the top percentile for Stay (longevity) ADG (average daily gain) CE (calving ease) YW (yearling weight) RE (rib eye) and Marb (marbling). Moderate framed, structurally correct cow family. 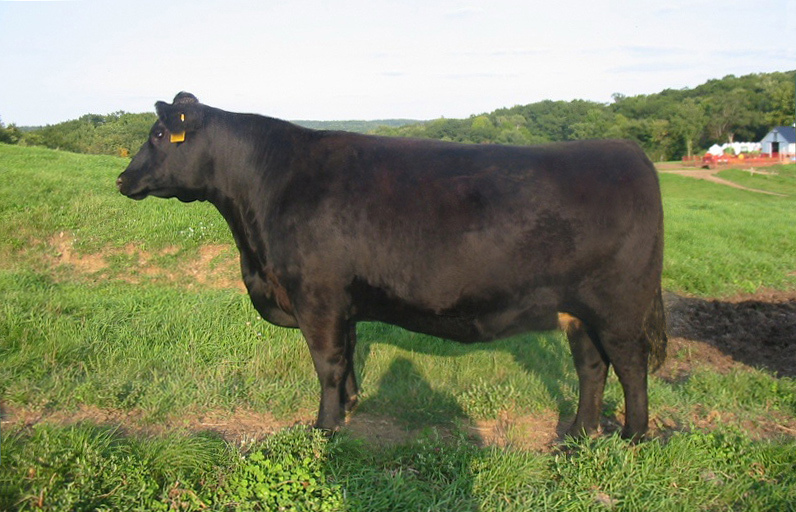 His full brother (SOLD to Mallett Cattle Company, Powderville Montana) finished the 2010 Midland Bull Test with a 147% Midland IMF Ratio, making him 3rd highest marbling bull in the group, along with an exceptional 112% Midland REA Ratio. He finish the test in the top 1% IMF and the top 10% REA. 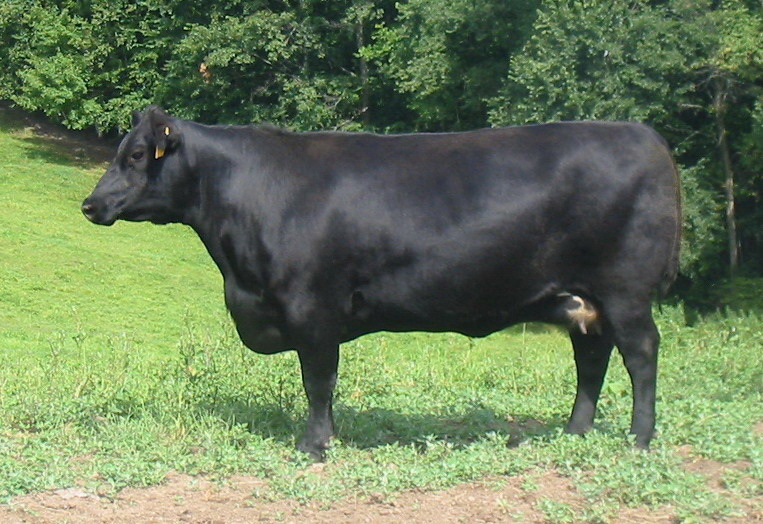 His -0.56 RFI (Feed Efficiency) score put him in the top 28% out of 800 bulls. He also turned in excellent growth traits of 112% Midland Yearling Ratio, along with a 104%Midland ADG Ratio. 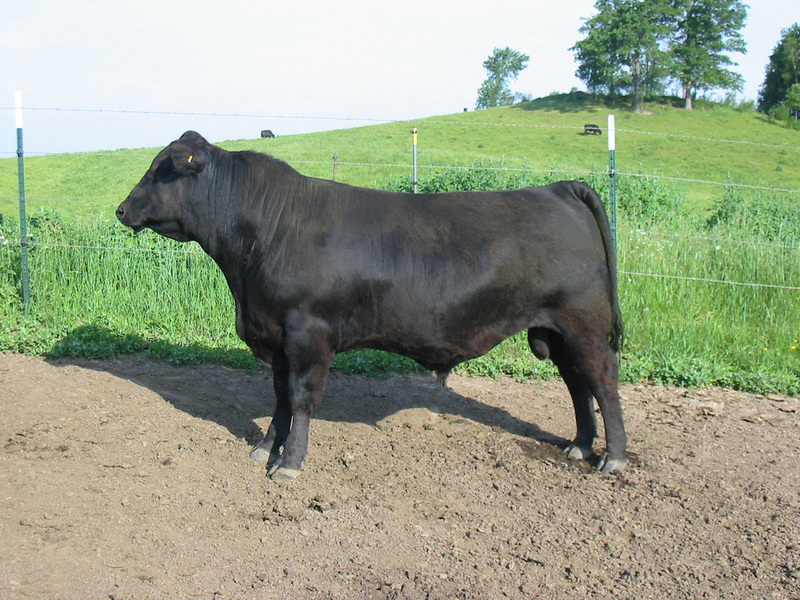 This bull has all the attributes of his big brother and should follow in his foot-steps. Birth Weight of 74 pounds.